British Columbia’s 450,000 kilometres of resource roads are under unprecedented pressures. They are no longer simply the domain of the forest industry and the public seeking back country access. The roads are now the arteries for increased levels of exploration by the mining industry—driven by high commodity prices—and a migrating oil and gas sector seeking new opportunities from its traditional operating areas east of the Rocky Mountains. The problem is the bush road system was not designed or built for such heavy industrial users. The B.C. government is trying to streamline the plethora of different rules, regulations and operational procedures and in the process overhaul how the province’s resource roads can be more safely regulated. The proposed enabling legislation is the Natural Resource Road Act. Its intent is to establish a single legislative framework for use, construction, maintenance and management of resource roads. A government discussion paper is available online at www.for.gov.bc.ca/mof/nrra/. Submissions to the government from interested and affected parties can be made until December 15, 2011. 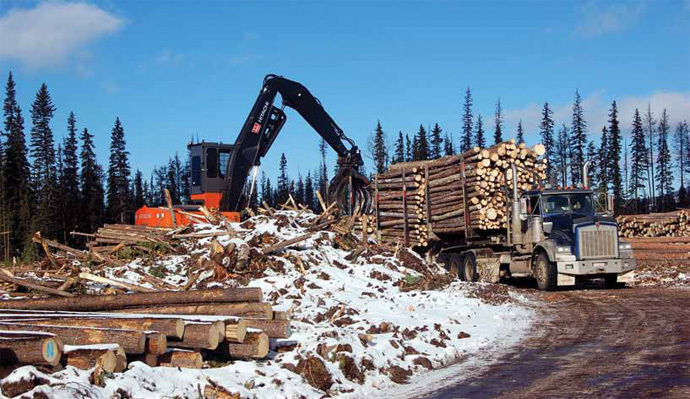 “We’re at the table so we can help sort out liabilities and operational procedures and not have additional costs downloaded on to the logging contractor,” adds Arcand. 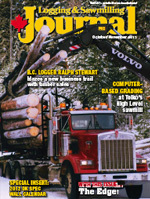 Equipment like ore trucks and drilling rigs weigh considerably more than loaded logging trucks. With the increased payloads come the corresponding damage risk to roads not constructed to withstand them. Arcand says a forest service road can be constructed to standard at 25 per cent the cost of a corresponding mining road. This is the second time the provincial government has tried to get a grip on regulating the resource road issue. The first time around—in 2008—potential legislation was stalled when government decided more discussions with resource road users was required. “I am optimistic, although I don’t know how successful it will be,” reports Arcand of the present effort. “But there is a healthy appetite to get a grip on what’s going on."